A while back I asked the Local Food Rocks Facebook fans for what kind of recipe they would be interested in reading. The consensus was something vegetarian, in a slow cooker. How could I resist such a request? 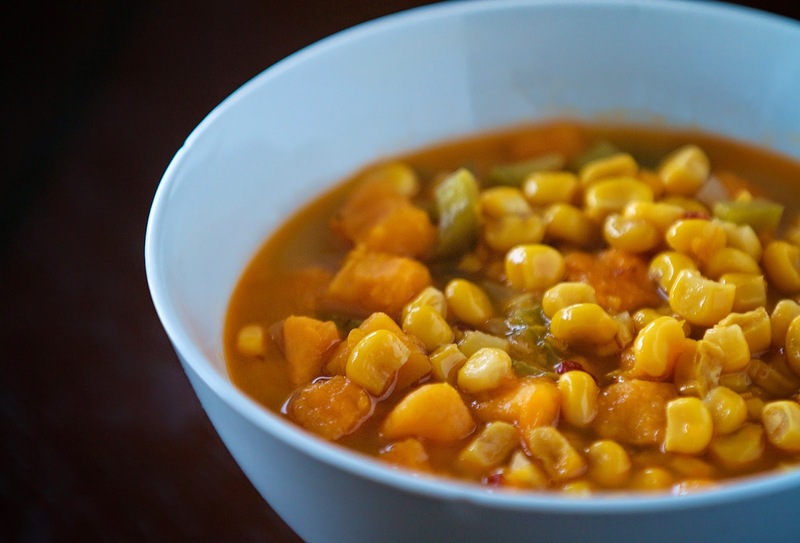 This Slow Cooker Corn + Sweet Potato Chowder is for all the fans. It's March, so (fingers crossed) Spring is on its way, but undoubtedly there will still be a few cold days where you'll be craving something warm and comforting. This soup will do the job. I like to think of this recipe as a touch of New England with a hint of Tex-Mex thanks to a few chipotle peppers in adobo. 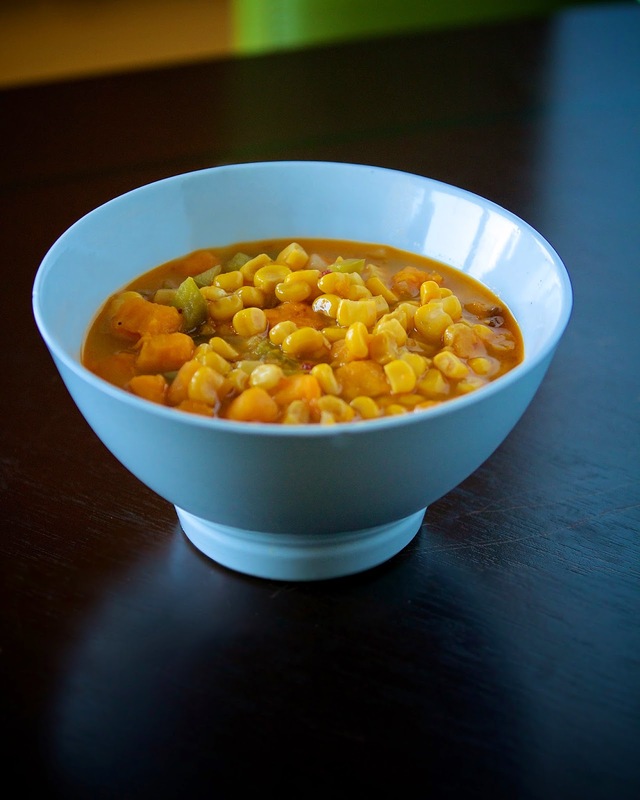 This one-pot meal gives you sweet and spicy flavors in a light, yet creamy tasting soup. Place all the ingredients up to the coconut milk into the slow cooker insert. Place on the cover. Cook on low for 6 1/2 hours. After 6 hours, stir in the coconut milk. Put the lid back on and let it finish cooking. For the meat eaters out there: Top each serving with 1 strip of crumbled bacon. This sounds delish! I may try this soon!